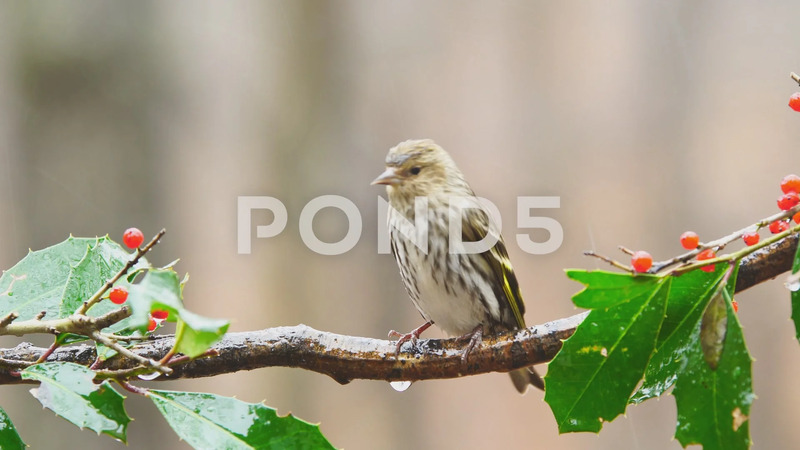 Description: Pine Siskin (Spinus pinus) is a North American bird in the finch family. They typically live in the Boreal forests of Canada. The southern winter migration or Irruption can bring huge flocks to backyard feeders. January in Georgia. Irruptions occur typically every other year.